Dominica is, undoubtedly, the most flourishing and untouched island in all of the Caribbean. Rightfully earning its nickname, the Nature Island, Dominica is abounding with natural wonders, including 365 rivers, endless waterfalls, the second largest boiling lake in the world, volcanoes, mountains (known as Mornes), hot springs, and both black and white sand beaches. 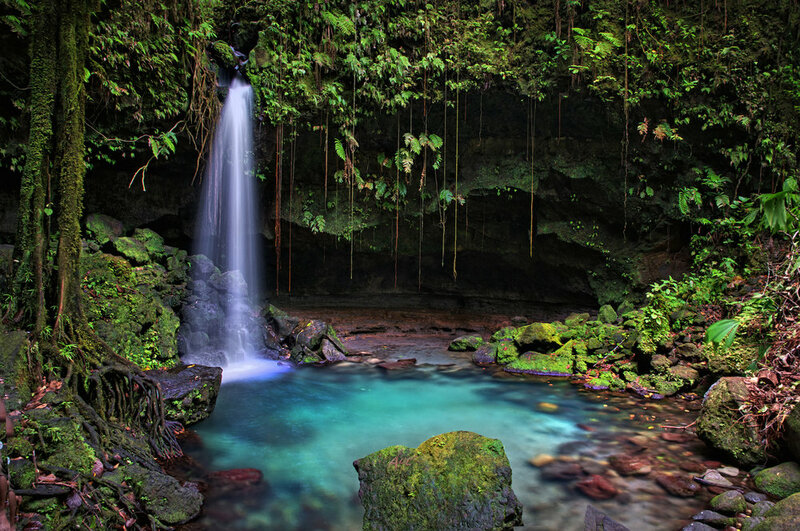 Much of Dominica is protected under national parks, one of which has been awarded UNESCO World Heritage status. In fact, it is believed that if Christopher Columbus were to return to the Caribbean, Dominica would be the only island he would recognize. Renowned for its eco-tourism, the island is truly a paradise for hikers, divers, birdwatchers, and nature-lovers who seek excitement, inspiration or respite. Beyond the unblemished natural habitat of the island itself, Dominica is home to one of few indigenous Caribbean colonies, Dominica’s first people, the Kalinago. Approximately 3,000 Kalinago, formerly known as Caribs, remain on the island, preserving and sharing a proud heritage more than 1,000 years in the making.